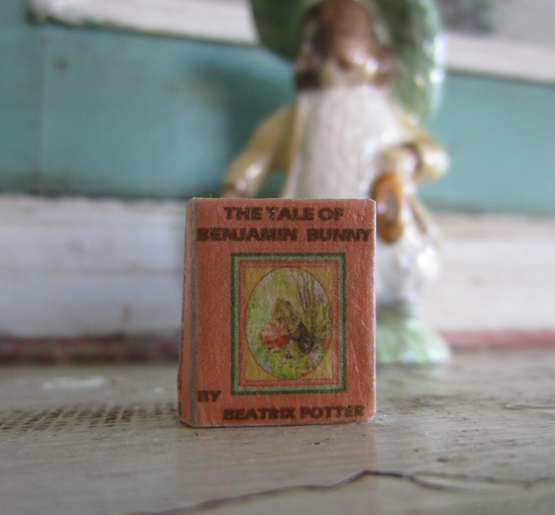 Amazing, tiny, handmade, Benjamin Bunny book -- I loved it so much! Only 3/4” x 5/16” -- and the whole story is there, tiny colored pictures too. Just precious. Until we run out! Please click on "More Images" to see more views of this adorable little book.